Had drinks with an old friend, Rachelle, yesterday. We met at Barca on Capitol Hill for a martini and a talk about her writing and “epic dreams”. Later we moved to Quinn’s and feasted on frog’s legs and salad. My Bloody Mary was not a good idea in combination with the spiciness of the toad’s hindquarters, but trying new things isn’t always a blast. Found out later that another friend who sorta stood me up actually was at Quinn’s at the same time. Odd coincidence. How can the military-industrial complex be stopped without sacrificing security? Should I write a novel and post it to my blog? As the future King of America, what policies would you advise I enact? My second shot at Swiss Cheese Potato Casserole ended up being rather richer than intended.‚ The casserole is actually more of a very tasty dessert.‚ A very manly dessert.‚ A single small bowl is enough to satiate my behemoth appetite. Not much is sweeter than making money while I sleep. Will Barack Obama’s popular policy proposal to change college football from the current BCS format to a playoff system become reality?‚ If so, how long will it take? How many Texas/USC fans will gnash their teeth till then? Other than a sincere hatred of Microsoft, is there any reason to focus on the LAMP (Linux, Apache, MySQL, PHP) technologies rather than the ASP.NET architecture? The refrigerator in my apartment has been harboring a lonely Budweiser Clamato beer for over two months now.‚ No one wants to give it love.‚ Can you be that person? One of the most basic functions in SQL Server Management Studio is creating a table for your database.‚ Below, I have displayed a piece of sample code that you can copy & paste, then customize to create your own table in SQL Server Management Studio. — Create Table is the syntax used to make your table. Sample is the database name. –Dateid is the column name.‚ int declares the data type (integer), not null tells the database not to accept entries without data, Primary Key makes this column the table’s primary Key and identity tells the database to automatically name each row starting with 1 and moving ID’s up in increments of 1. — note the constraint created here… it tells SQL Server to only allow numbers between 1 and 12 into the database. SQL Server Management Studio has many other options when you create a table, but these are some of the basics and should get you started. Today, I’m going to talk about one of my earliest childhood lessons in the advertising field: gorilla marketing.‚ Literally, gorilla marketing… you thought I misspelled guerrilla marketing didn’t you? Ivan the Gorilla lived for 27 years in the now shut down B & I Shopping Mall in Tacoma, WA.‚ I remember visiting the mall and watching Ivan the Gorilla in his enclosure.‚ The B & I Shopping Mall had brought Ivan in and kept him for 27 years in a concrete enclosure inside their retail area where people could watch him as they purchased goods. Displaying Ivan the Gorilla was a smart marketing stunt- as a kid I loved to go visit him and watch the huge silverback amble around and look at the visitors.‚ Unfortunately, it was not such a great thing for Ivan and after being sued, Ivan the Gorilla was sent to a much better atmosphere at a zoo in Atlanta. I’m glad that Ivan the Gorilla has a happy retirement home in Zoo Atlanta after serving for 27 years as an unwilling retail salesman! Funny home videos is one entertaining topic that I have not yet featured on my website.‚ I have found tons of hilariously funny home videos, including funny videos of accidents, the funniest fight clip you’ve seen yet and many others.‚ My criteria in selecting funny home videos was twofold: First and foremost I wanted to find the funniest home videos ever made and second, I wanted to make sure that these videos would not be taken down off Youtube for having illegal content.‚ After much funny home video watching and judging, I have narrowed the selection down to teh very funniest home videos that I have ever seen. I found the funniest video clips on Metacafe, as well as the funniest video clips on Youtube and have brought them here for your entertainment.‚ Each separate funny home video has it’s own little title and custom description written by me.‚ All you have to do is hit play on the funny home video that most interests you. The next funny home video shows lots of sports bloopers including marching band members falling over one another, cheerleaders being dropped on their butts and a pedestrian getting run over by an entire football team. I think that my favorite funny home videos are the ones in which cheerleaders get dropped (probably three clips in this home video series). An entertaining series of people (and animals!) getting into accidents on the water. I like the dog surfing clip the best. Also the fat girl splatting out the end of the water slide is pretty good too. The last funny home video clip at the end of the Youtube video is more impressive than hilarious: A guy bounces on on diving board and jumps up onto the high dive! The next video isn’t really funny, but it’s amazing that this biker can just jump up and walk away after being smashed into by a car. Nuts. Don’t watch this home video if you are faint of heart. The following is a massive collection of funny home video clips all organized into one giant home video. If you want to have eight minutes of entertainment from funny home videos, watch these. I like the little kid who whacks his dad in the nuts. There are also funny videos of people being hit by cars, falling out windows and having horrible motorcycle accidents. Not sure why all these accidents are so funny to human beings, but I think the shock factor makes people crack up. There are some truly horrifying home videos included in this clips series so BE CAREFUL about watching it. Several of the people involved in these videos actually died from their accidents which is not funny at all. But for some reason, this home video collection is one of the most popular in the history of Youtube. There is even a video fo a dude being voluntarily kicked in the nuts. Other videos include dumb people discovering the massive negative potential effects of gravity and even a merry go round that crashes. These funny home videos are absolutely insane. Seriously, who actually thinks that some of these videos are funny? I find it vaguely horrifying. Like the video of a landslide taking out dozens of people… geez. I think that laughter is humans mechanism for dealing with some of the really scary things in life. Maybe this section isn’t truly funny either, as it involves kids knocking each other out while other people stand and watch and make home videos for their own entertainment. You will also see a video of a soccer star hammering another soccer player and knocking him out. The funny videos are the ones in which baseball players empty out the bullpens to go battle each other. I do like the bear fight home video at the end though. Watch how the white guy fights in this ridiculous funny video. The poor Mexican guy completely loses interest in fighting him after seeing the guy take his silly kung fu fighting stance. Eventually though the two retards meet in combat and the white dude knocks the guy out. These two ancient old cretins get angry at each other over something and have a funny fight. I hope you enjoyed my collection of funny home videos of accidents and fights. If you did, please let me know in the comments and if you have additional funny home video’s to suggest feel free to stick in the links! Also, I would greatly appreciate it if you linked to my article on funny fight and accident home videos so that other people may come and enjoy them as well. At a recent dinner I had an interesting conversation with an American schoolteacher about economics and politics and eventually discovered that she was a socialist. Since I wanted everyone to enjoy the dinner, I didn’t ask her more questions to find out the depth of her socialism knowledge or if she understood the effects socialist principles have on a nation. Most people in America, like the schoolteacher, believe in at least a few socialist ideas. In my conversation though most of these people have not thoroughly thought out their positions and why they support them. In this article, I will discuss the definition of socialism, the history of socialism and how various socialist principles have been embedded in the American government. I will end the article with a somewhat controversial proposition. 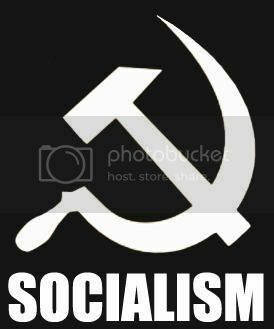 Definition of Socialism– Socialism is the mix of economic and political theories for organizing society that advocates collective ownership and management of the means of production, distribution of services and goods, as well as dividing everything equally. Socialist theories stand in opposition to ideas of free markets, private ownership, and individual responsibility. In summary, socialists prefer very large and powerful governments (China, the old Soviet Union, Cuba, and France to some extent). Capitalists prefer small & limited governments (United States, Australia). History of Socialism– Socialism rose up in the early 1800’s in response to some of the excesses of the industrial revolution. Robert Owens, Charles Fourier, Louis Blanc and other hated the inequality and poverty they saw in their countries and advocated changing the government to distribute the newfound wealth more equitably. Of course, before the industrial revolution EVERYONE was in poverty and though a few people had been left behind, the industrial revolution would not have happened without Capitalism and there would be no wealth to spread. Anyways, by 1847 Socialism had gained a lot of momentum and Frederick Engels began really pushing it. 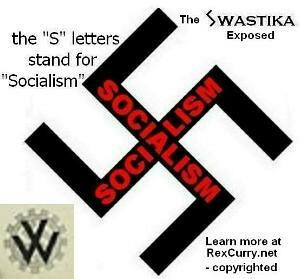 Around this time, socialist governments were installed in France and in Germany. Karl Marx wrote the seminal book on Socialism in 1848, “The Communist Manifesto”. The Communist Manifesto’s principles have been used as the bedrock for the establishment of most socialist societies that came later. Karl Marx believed that all of history could be explained by a series of class struggles between the bourgeoisie (rich & powerful) and the proleteriat (poor huddled masses). Marx advocated the overthrow of capitalist governments by a “Communist Party”, and these overthrows actually took place in Russia, China, Vietnam and Cuba. The Communist Revolutions t hat took place in each of these countries started out being fairly ideologically pure, but all of them quickly morphed into a new form of oppression: Totalitarianism. The Soviet Union (now Russia) collapsed almost two decades ago, but the aftereffects have shattered the country and now it is run by former KGB men who are essentially kings that rule with an iron fist. China is slowly morphing to a half-breed between socialism and capitalism, while still regularly crushing human rights. Cuba’s revolution was led by Fidel Castro who after achieving victory, quickly converted the socialist government to a plain vanilla dictatorship. Pure Socialism as an economic and political system simply does not work and usually totalitarian governments rise to fill the power void (Stalin over Lenin, Castro taking over Cuba and Chairman Mao in China). Fundamental Problems with Socialism- Why has socialism failed so miserably in all the countries it has been tried? Why haven’t the passionate believers in socialism been able to make it work as a government? To understand why socialism has failed in such a massively tragic way in so many countries, you must think logically and use your basic common sense. What is socialism in its most basic form?- Socialism is where EVERYONE is employed by the government, works for the government and is paid by the government. Unfortunately, governments in every form in every country throughout history have been ridiculed for being inefficient bureacracies. The bigger a government gets the more opportunities for inefficiency are created. Why is this? It’s because human beings are genetically programmed to be selfish and take care of themselves and their families before strangers. Think about it: if I gave you a thousand dollars, would you split it equally amongst all your friends or would you keep it and buy yourself something or save it? Obviously you keep it for yourself. People prefer to take care of their own needs first. 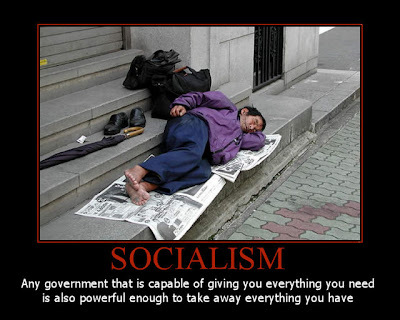 In a socialist government, someone must have power over other people in order to spread goods and services to everyone. This is where corruption enters the picture- the people in power are inevitably tempted to give themselves a little extra… then a little more. Absolute power corrupts absolutely. All of the other people see this and become disillusioned with their government and start slacking off at work and taking what they can get too. Eventually, you wind up with an entirely rotten country that falls to pieces (Soviet Union). In the process, tens of millions of people are slaughtered (up to 60 million under Stalin and up to 43 million under Chairman Mao’s “Great Leap Forward”- which reminds me of the New Deal lol). The other factor that socialism ignores is the basic principle you read about in every Psych 101 text ever written: Rewards and Punishments. Socialism removes the rewards for working hard and instead installs punishments. Why would you work harder when no matter how hard you work, you still get your same loaf of bread and bottle of water? Why would you put in 80 hour weeks when there is no mansion in the suburbs or Lexus in the driveway or trophy wife to shoot for? Instead of having these capitalist rewards for working hard, you are punished because if you work harder than the people around you, you are seen as trying to stick out and not be absolutely equal with everyone else. Nails that stick out get hammered. Socialist Countries and Totalitarianism- Socialism is not just a cute idea for hippies, lazy people and those who think it sounds “nice”. Capitalist countries that implement socialist ideas inevitably begin a downward spiral through socialism and into totalitarianism. America has been in this slowly accelerating death spiral since the late 19th century and is picking up speed now with all of the socialistic bailouts of poorly run companies (AIG, Fannie Mae, Big 3 auto companies, etc). You are probably thinking to yourself that I’m exagerrating and things aren’t that bad… but you’re wrong. Unless a powerful politician who believes in the principles America was founded on we are going to be led astray by popular politicians like Barack Obama. I think Barack Obama is a genuinely great guy and that he is very smart and has America’s best interests at heart… but he’s the type of guy who tries to solve all the problems of a government himself. Anyone who tries to do that ends up having to take more and more freedoms away from the people in order to try to save them. If it wasn’t for World War 2, FDR would’ve continued to amass power until America was a full on communist country. Fortunately after WW2, Truman and others during the late 1940’s and 1950’s handed much of that power back to Americans. Other countries have not been so fortunate and these countries citizens have seen their freedom, culture, religion, individuality and even their very lives robbed from them by their totalitarian government. Chairman Mao in China thought he was going to do all of the Chinese people a favor with his “Great Leap Forward”, but he ended up ruining his countries agriculture and industry and tens of millions of people starved to death and millions more were murdered for opposing his policies. This is why it is vitally important to stand up against the slow infiltration of socialism into American government and society. Socialism in Education- Education for individuals under the age of 18 in America is under the control of the government. Ever wondered why public schools are constantly failing and it always seems like there is a “crisis in American education”? It’s because much of the American education system, especially for minors, is government controlled. In 1840, before the advent of public education, the United States had a literacy rate of 97%- which was one of the highest rates in the world at the time. After the Civil War, the government stepped in and established the public education system in order to try to help recently freed African American slaves. By 1900 all children up to the age of 14 were required to attend school. Private schools were still pretty dominant and teacher’s worked hard to ensure that their students understood the material they needed to learn. Unfortunately, in today’s public schools it is almost impossible to fire incompetent teachers and equally difficult for teachers to try to improve on their curriculums. Public education sounds like a great idea in theory, but let’s think about it further. I agree with mandatory education laws so that parents can’t abuse their children and everyone gets a fair start, but I think that schooling should be done through private and charter schools instead of being forced into the public scho ol system. Each student should have freedom of choice in which school to attend (just like college), and each student should receive a set amount from the government that follows him to whatever school he wants to go to. The system I am proposing isn’t perfectly capitalistic, but it adjusts to make sure that every kid has a fair shot at a good education. Our current system encourages our teachers to preach socialist principles to our children (the teachers get pay raises from voters and if they teach socialist propaganda to students they are more likely to get more money). We must stop the government from indoctrinating our youth with socialist propaganda. Education (at least till age 14) should be free & mandatory for all, but in order to save America’s future, public schools should be abolished and replaced with a system of private & charter schools. Found this funny police demotivational poster and thought I would share it with you guys. The police are certainly enjoying themselves a little bit too much on the job here. If you look at the relevant links below, you will see that I have a massive collection of demotivational posters (and more police demotivational posters!). Click through them to laugh at the funny motivational posters for hours! I found an interesting civic knowledge test.‚ http://www.americancivicliteracy.org/resources/quiz.aspx Apparently, the average public servant scores lower than the average citizen. I scored an 81% (27 out of 33). I thought a few of the questions were BS, especially question 33 & 15.‚ I won’t tell you what they are though before you take the test. At least the ones I date are…‚ They seem normal when I start to date them and then by the end I am usually seriously considering calling the folks in white jackets to take them away. It would be great to find a rational person to date… but I’m beginning to doubt the existence of such a person.‚ Instead, I am stuck locking my door at night for fear that the Crazies will find a way in to stab me in my sleep. To tell the truth, perhaps I am the common denominator to all of these insane women… I mean they usually start out normal and then as I progressively get to know them better, they grow nuttier and nuttier.‚ Either I drive them crazy or maybe I just slowly get to know them.‚ My opinion is that it is the latter: one girl tried to force me impregnate her, one drove down a 35 mph road at 60 while screaming hysterically at me and another actually did check herself into a hospital for mental issues… and that’s just the tip of the iceberg. Don’t get me wrong: I have done my fair share of crazy things too… but usually they are more silly or plain dumb than crazy. On an unrelated topic, have you noticed that the prettier a girl is, usually the crazier she is too?‚ I think women sometimes just think its funny to see how much they can get away with… it validates their self esteem if they can get away with really insane stuff. So why do men put up with crazy? Crazy in the head usually correlates to crazy in the bed… if a girl isn’t afraid of taking a hatchet to your plasma television, she usually isn’t afraid of doing it in public either.‚ There’s also the ego building factor- “She isn’t insane, but my magical charm drives her nuts.”‚ ‚ Unfortunately, usually it’s the insane causing her to choke you and not your magic charm. Crazy women can be fun and bring extra spice into your life, but after awhile you get tired of it.‚ Sometimes you just want to relax and have a peaceable conversation and a glass of wine.